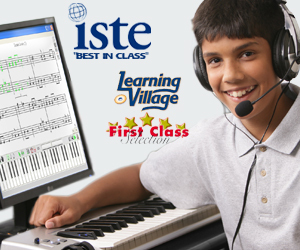 Ages 4 – Adult • Make music and piano a regular part of your day with interactive programs and detailed lesson plans designed specifically for home schooling families. MusIQ HomeSchool is the first award-winning, multi-level music & piano curriculum that includes age-appropriate lessons for beginner to advanced intermediate students. The seven-year MusIQ HomeSchool curriculum includes 20+ levels so you can start your entire family right away. Homeschooling children at least four years of age to adult. Parents can learn too! Students learn to read music, play piano, improvise and compose. Review the entire curriculum. Do I need a piano keyboard? Yes. Specifically, you need a MIDI piano keyboard (a digital keyboard that connects to your computer via a USB cable or a ‘MIDI to USB’ adapter). For quality and value, we recommend the M-Audio KeyRig 49 (available with Subscription or Sotware for $110.00). What are the system (computer) requirements? Early Curriculum: Windows XP/Vista/7/8/10 or Mac OS X (10.7 and up) or macOS.